Located between the Robert Trent Jones Golf Center and Palmetto Dunes Tennis Center, the Village at Palmetto Dunes features stylish accommodations in the Palmetto Dunes community on Hilton Head Island. Perfect for the budget traveler, Village at Palmetto Dunes is a beautiful setting just 200 yards away from a wide sand beach and the Dunes House Beach Club by a footpath along the waterway. The Village features a pool, hot tub, tennis courts, playground, and waterside picnic tables and BBQ grills. Enjoy an easy walk to golf, tennis, restaurants, shopping, canoes, paddleboats, biking and nightlife. 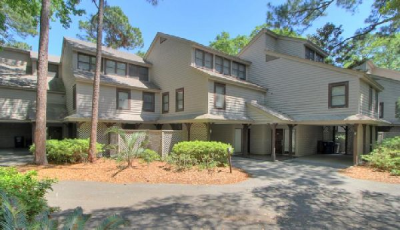 Guests of this beautiful Hilton Head property enjoy the free shuttle (from April through September) around Palmetto Dunes and to the shops and restaurants of the Shelter Cove Marina and Shelter Cove Towne Center.